Historical stone arch bridges are still a major part of the infrastructure in many countries. Although this type of bridge has proven to be an efficient construction type, it often poses the problem of insufficient numerical models of the load bearing behavior. Therefore the book introduces methods to adapt life loads and introduces different types of numerical models of the load resistance respectively. The book continues with the introduction of specific damages and strengthening techniques. 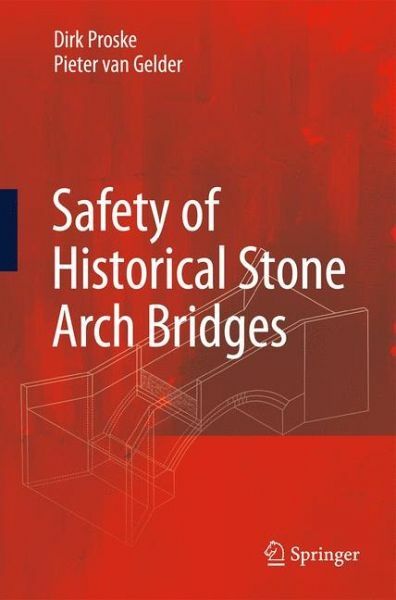 The book particularly focuses on the probabilistic safety assessment of historical arch bridges, for which often only limited material and structural data is available. Dr. Dirk Proske studied civil engineering in Dresden, Germany and London, U.K. He worked in Germany, South Africa and Indonesia, before going into scientific research at the Technical University in Dresden, Germany. Since 2006 he has served at the University of Natural Resources and Applied Life Sciences in Vienna, Austria. For several years Dr. Proske has been co-organizer of the Dresden Bridge Construction Conference and he is also the founder of the International Probabilistic Workshop. Dr. ir. Pieter van Gelder is a full-time associate professor of probabilistic methods in civil engineering at Delft University of Technology, where he has been involved in research and education in the field of safety and reliability for over 15 years. He also serves as a consultant for Nedstat BV, a part-time lecturer at IHE and PAO, and currently a member of the managerial board at ESRA. Van Gelder holds visiting professorships at the University of Waterloo, Canada, and at the Norwegian University of Science and Technology in Trondheim, Norway. 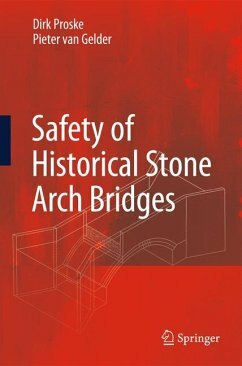 Loads.- of Historical.- Masonry Strength.- Investigation Techniques.- Damages and Repair.- Safety Assessment.- Examples.